The host was so kind. She literally stood outside until I got there because I was lost! Bless her. Great value for money. Great location. We travelled with 3 children. We felt like home. The facility was fairly clean and was large enough for the 3 of us. I guess you could say that it was ok for the location (central Madrid) and the cost. Person came early and let us drop off our luggage, which helped as we had a tour planned. 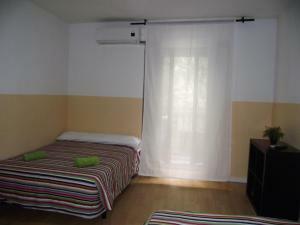 The studio is located near Gran Via area where all the shopping is located and near Madrid's landmarks. Best location ever, helpful host. Excellent price. 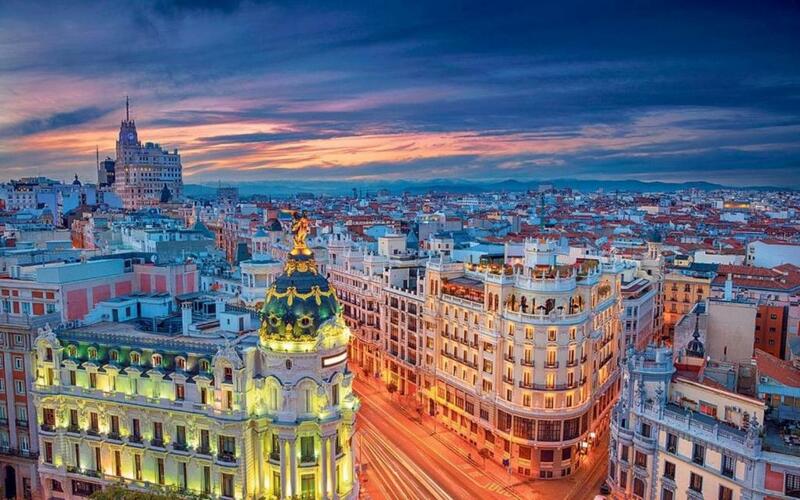 The location is perfect for walking to all major sites in Madrid. Located on a very nice pedestrian shopping street. Perfect location if all you need is a central base that is clean. If you don't plan to spend much time in the room it's perfect. Simple cheap room with a double bed, only stayed briefly and it was exactly what was needed. Village Chueca Apartments is centrally located in Madrid, 100 feet from Gran Via Metro Station and next to the lively Chueca district. It offers free Wi-Fi. 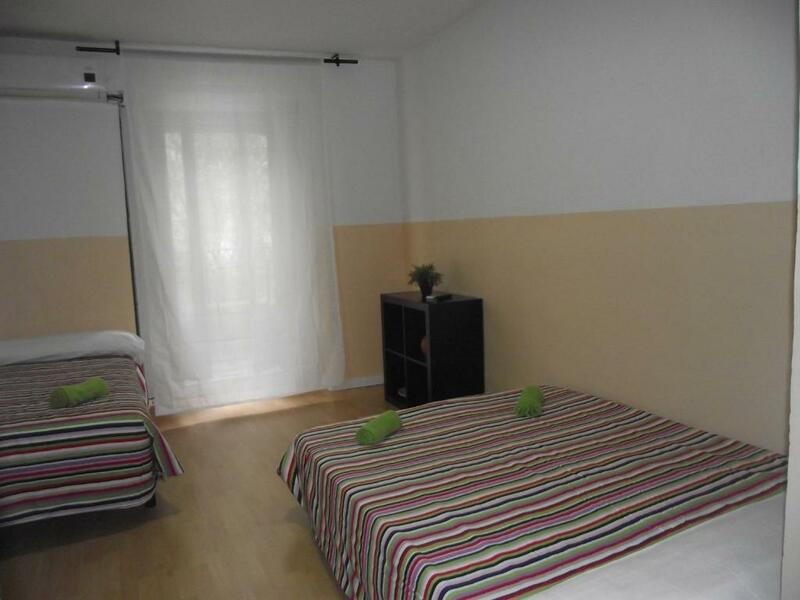 Each heated studio apartment has a TV and wardrobe, and the private bathroom comes with a shower. The kitchenette includes a fridge and microwave. Bedding and towels are provided. The central location means that there are lots of bars and restaurants in the surrounding area. 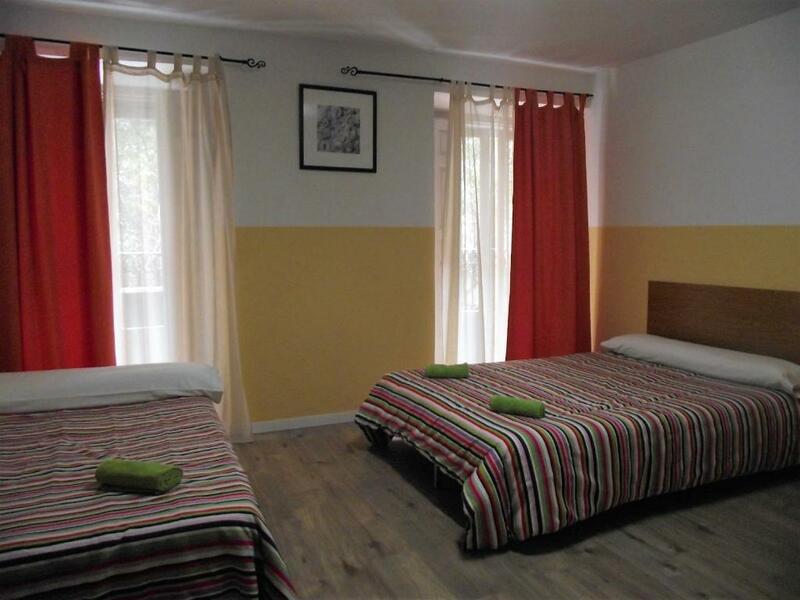 All guests of Village Chueca Apartments are entitled to a discount at a nearby restaurant. The apartments are set on Fuencarral Street, famous for its alternative clothing boutiques. 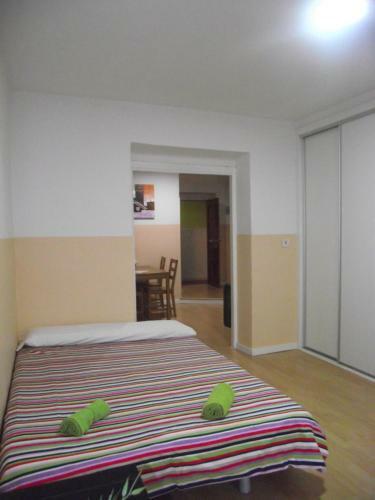 When would you like to stay at Estudios Village Chueca? 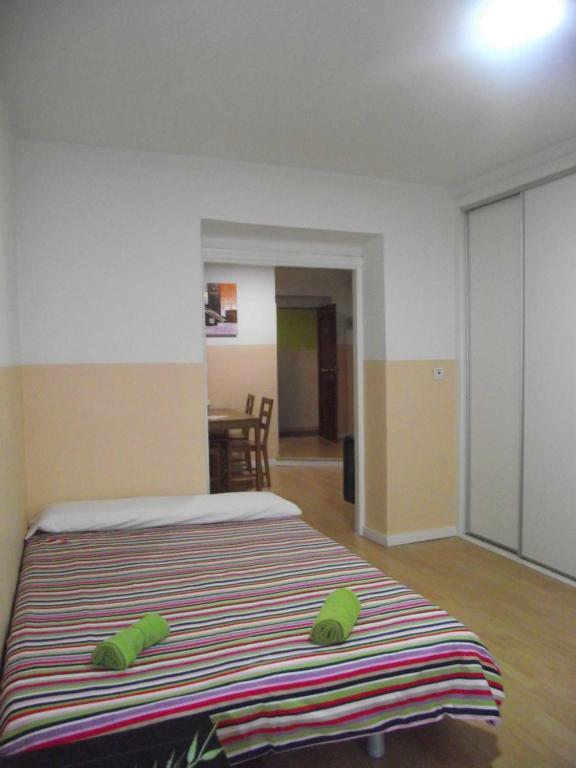 Heated studio apartment with a double bed and a sofa bed. There is a TV and wardrobe, and the private bathroom comes with a shower. The kitchenette includes fridge and microwave. Bedding and towels are provided. This studio features a tile/marble floor, private entrance and kitchenware. 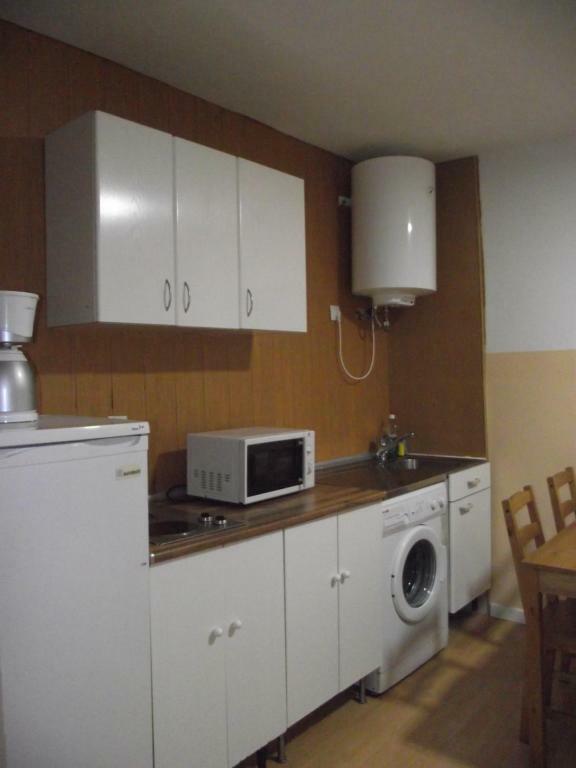 This studio features a kitchenware, air conditioning and microwave. House Rules Estudios Village Chueca takes special requests – add in the next step! Estudios Village Chueca accepts these cards and reserves the right to temporarily hold an amount prior to arrival. Please note that it is not allowed to hold parties or cause noise and disruption to other guests. All guests must confirm their expected arrival time in writing at least 2 days before arrival. Contact details are on the Booking Confirmation. Please note that late check-in between 22:00 and 00:00 carries a surcharge of EUR 25. Late check-in between 00:00 and 03:00 carries a surcharge of EUR 50. Late check-in must be confirmed by email in advance with the property, and also by phone or text message with the property 15 minutes before arrival. A damage deposit will not be charged, but any damage to the apartments will be charged to the guest’s credit card. Please inform Estudios Village Chueca of your expected arrival time in advance. You can use the Special Requests box when booking, or contact the property directly using the contact details in your confirmation. Nothing. The apartment was exactly as described. I will say this though that the doors are pretty old so some of them you will have to use some elbow grease to get into! The lavatory in the bathroom emit not pleasant smell and it is clogged. The washing machine in our apartment is unusable with a signage display on it. There is iron provided but without an ironing board. The wall mounted small TV could have enhance our stay if it is upgraded to larger screen and although there are Microwave and Water boiler provider including cooking stove, will be great to have a toaster oven for simple heating of Pizza etc. The apartment was quite different from the once in the pictures. We were inform just one hour before the arrival that the address is changed although I have confirmed it earlier that day. It is that kind of places where the host are trying to cheat the tourists somehow. And if you book a different apartment i believe that they will find a way to disappoint you. Hot water runs out after a quick shower and it takes around 30 minutes for it to be available again. Not enough toilet papers disposed in the room, and the kitchen could be better equipped. Beds were not that comfortable; Washer didn't work, but we were only staying 2 nights. Electric breaker popped when wife was using her curling iron too long. The rooms were tiny and the place was filthy with mould in the bathroom shower cubicle. Beds were very uncomfortable. Room was dark, noisy and tiny with poor facilities. Need to call up the management to come opening the door. The lady DID NOT speak English at all and how could she manage all overseas guests?? Not all overseas guests have direct phone call facility in hand to call. I had to ask and only the third shop help me to call and spoke only in Spanish!!! In fact, there was no feedback on all the internet messages to the hotel before. Only location and the quietness in the apartment.